The Supreme Court today wanted to know from BJP leader Ajay Agrawal what locus he had in filing an appeal in the Rs 64 crore Bofors pay-offs case. Observing that the CBI has not filed any appeal in the apex court challenging the May 31, 2005 Delhi High Court judgement, a bench headed by Chief Justice Dipak Misra said “We expect the petitioner to argue the matter on the next date of hearing and argue the parameters on grant of leaves”. “PILs are used in personal battles, political battles, commercial battles, publicity battles and now we are seeing it in criminal jurisprudence. Criminal appeals can only be filed by State or relatives of victim. Why is third party bothered when CBI had not appealed Bofors discharge for 13 years?, the Chief Justice asked Agrawal at one moment. The matter will be now heard on February 2. The Delhi High Court had on May 31, 2005 quashed all charges against the three Hinduja brothers -- Srichand, Gopichand and Prakashchand -- and the Bofors company, castigating the CBI for its handling of the case, saying it had cost the exchequer about Rs 250 crore. SC had on October 18, 2005, admitted Agrawal's petition which was filed after the CBI failed to approach the top court with the appeal within the 90-day deadline following the high court verdict. 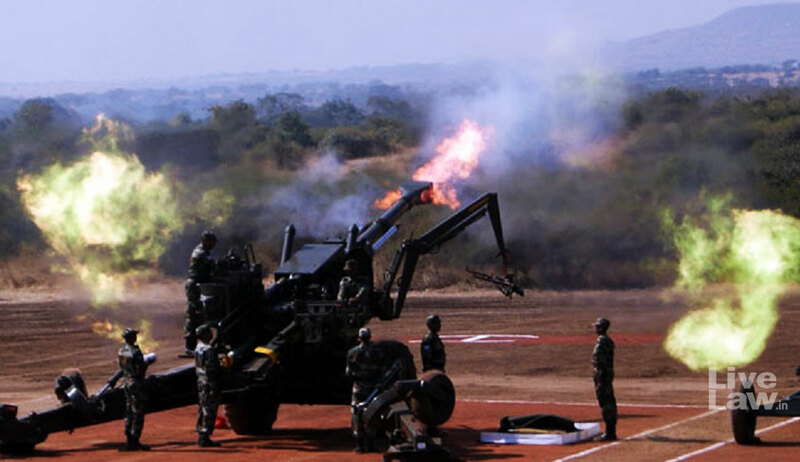 Recent media reports have suggested there was a financial quid pro quo for the Rs 1,437 crore Howitzer gun deal in 1986. Agarwal, who had contested the Rai Bareli Lok Sabha elections in 2014 against Congress President Sonia Gandhi, said he also proposes to draw the attention of the apex court to the a letter he wrote to the Enforcement Directorate (ED) seeking an investigation into the trail of the kickback money under the Foreign Exchange Management Act, 1999 and the Prevention of Money Laundering Act, 2002. In the July 28, 2017 letter to the ED, Agarwal had claimed that the alleged crimes were committed continuously until 2006, when two London accounts held by Italian businessman Ottavio Quattrochi, who was accused as being one of the middlemen in the deal, were unfrozen.